Just wanted to share this picture from my Grandparents’ house on Dover Street, where my parents’wedding reception took place. You can see Auntie Dot as Maid of Honor behind the plants next to my mother. My Uncle Danny is next to my father and harder to see. My Mom was 21 and my Dad was 24 when this picture was taken. America at peace, war over. They look so innocent, so naive, so excited about their future. And in shock a bit, especially my mother. About all the attention, the focus, and the expectations that were now placed upon her. 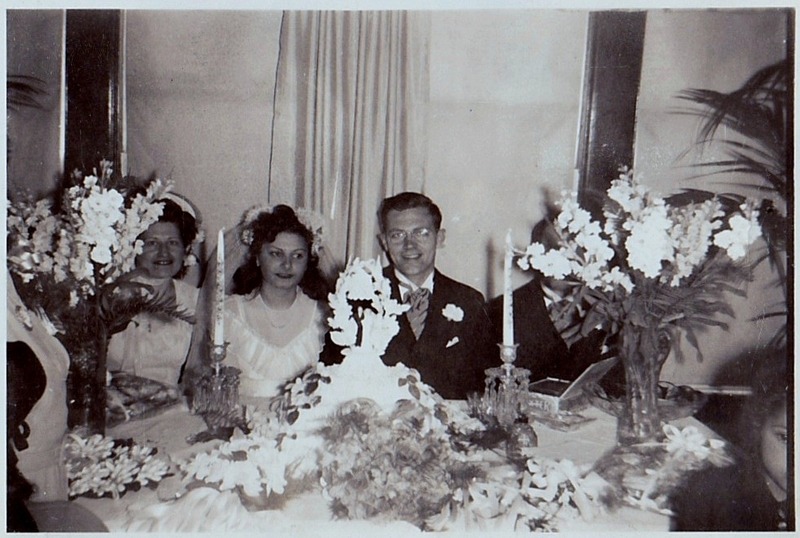 This entry was posted in Aging Parents, Italian Americans, Weddings and tagged parents, wedding by pattytmitchell. Bookmark the permalink.